YOUR LAST CHANCE TO WIN A GIANT RAY IN OUR CLAIRE HOUSE HOSPICE CHARITY RAFFLE! 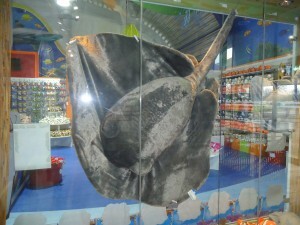 The raffle to win our Giant Ray must end on the 30th April. Visit the Blue Planet Aquarium Gift Shop and make sure you enter into our charity raffle to win our Giant Cuddly Ray! All proceeds from this raffle will go to our Charity Partner Claire House Hospice on the Wirral. As you know our real Rays really are huge, so you never know, you could be going home with a life-size souvenir from the areas Premier Aquarium!